The annual conference is held to promote the work of OPAL libraries, to share information and practices among academic libraries, to provide vision for future OPAL activities, and to recognize the achievements of OPAL libraries and staff. The 2019 conference will be held August 1-2, 2019 at the Athenaeum of Ohio in Cincinnati. We welcome posters on any creative or interesting project you’d like to share! We recommend a self-standing tri-fold (e.g. http://elmers.com/product/detail/902090) or single panel (easels available). Note that posters will be set out all day Friday, with a 60-minute session devoted to sharing posters with attendees. Special collections & archives, preservation, etc. Cataloging: RDA, linked data, cooperative cataloging, etc. Collection management, weeding, acquisitions, book repair, etc. Technology in the library: LibGuides, social media, digitization projects, online tutorials, open educational resources (OER), etc.  * Guests refer to our colleagues in academic libraries that are not part of an OPAL institution. Submit your poster proposal here!